Enough Of The Stuff - Let’s Give Good Instead! | Life Love and Hiccups: Enough Of The Stuff - Let’s Give Good Instead! I cringe at the thought of how much money I have wasted over the years on ‘stuff’ kind of presents and stocking fillers for my kids that have either broken before the Christmas tree came or was forgotten about very soon after. I cringe because the money I wasted on those things that my kids neither need nor really appreciate could have been put to a far better use – helping those kids in the world who literally have nothing. This Christmas UNICEF is appealing to us Aussies to give the stocking fillers the flick and say “Enough of the Stuff” and “Give Good” to where it really matters instead. 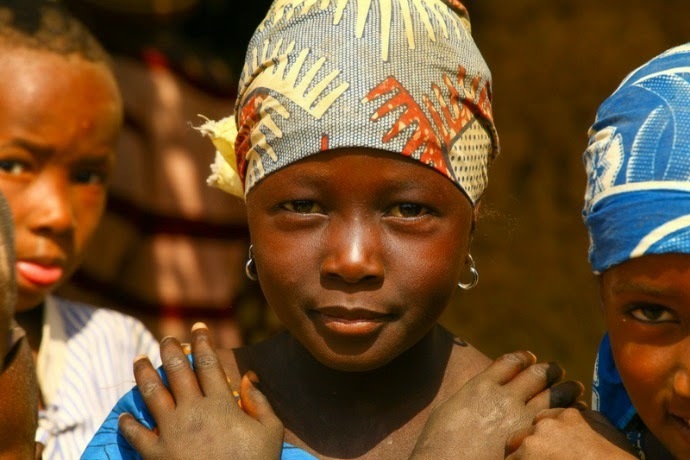 For as little as $16 bucks, we can make a huge difference in the life of a child in need. By spending the money we would otherwise spend on ‘stuff’ for our own kids on an Inspired Gift, UNICEF will deliver gifts to the children that need it the most. Gifts that include polio vaccines, educational tools, baby weigh scales, nutritional health supplements, water pumps, emergency shelter and vital community equipment for UNICEF field and community workers. When you buy an inspired gift for someone, a special gift card is sent to your recipient telling them what you have sent on their behalf to a child in need. It’s the gift that you can feel good about giving, and your recipient can feel good about receiving… not to mention how those kids who actually receive those precious gifts will feel. Let’s show them we care this Christmas and say ‘Enough of the Stuff' and ‘Give for Good‘ instead. 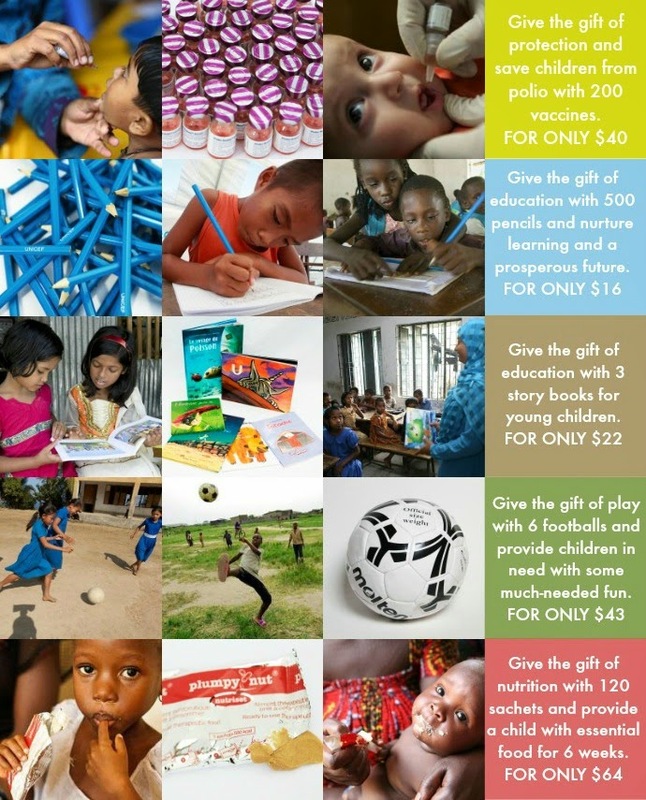 To see the full list of gifts available to purchase, please visit the UNICEF website here. BUT WAIT… before you go, there is one more thing you I appeal to you to please do. Please enter the competition I have running on my Facebook page to win one of four gifts to be sent on your behalf of your nominated recipient, to the children who really need the gifts this Christmas. 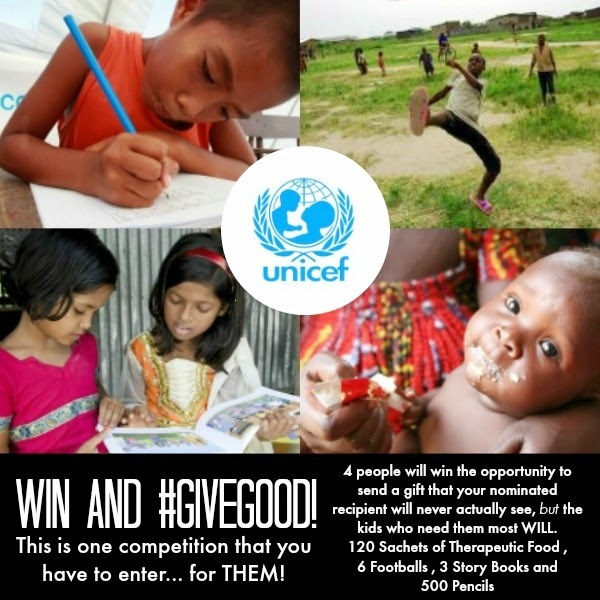 By entering you are not only winning the opportunity to send either 120 Sachets of Therapeutic Food, 6 Footballs, 3 Story Books or 500 Pencils, you are also helping to spread the #GiveGood message far and wide. So please, head over to my Facebook page here to enter now and if possible consider sharing this post to your friends too. Together we can make a difference this Christmas!